Bidding goodbye to the ageing S80 sedan, Volvo Motors planned to replace it with a sleeker and more elegant S90 model which will be the new flagship vehicle of Volvo India. 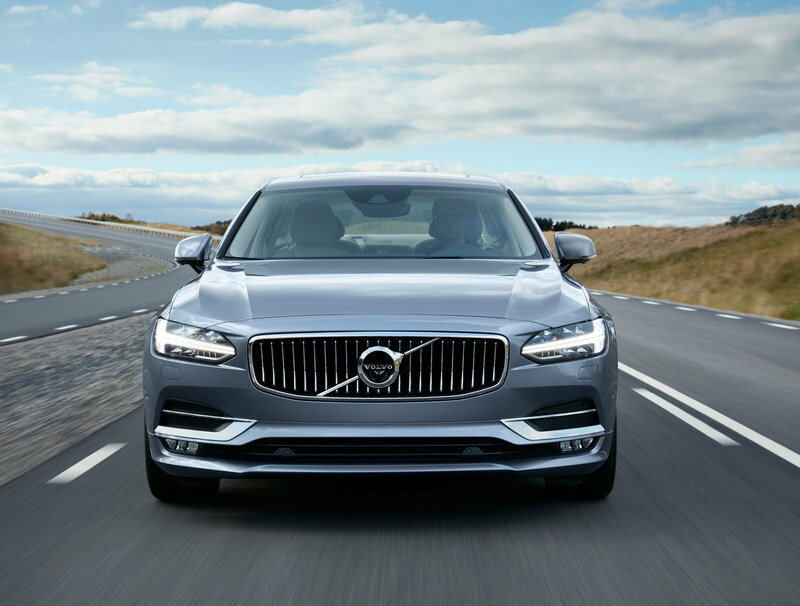 The all new 2016 Volvo S90 was launched in the Indian market yesterday i.e. on 4th November 2016. It will compete with the likes of BMW 5-series, Audi A6, Jaguar XF and Mercedes Benz E Class in the executive luxury sedan segment. This Volvo S90 review will reveal more about this newcomer. After launching the new XC90 T8 Excellence Hybrid sedan in India recently, the Swedish carmaker has launched the much awaited Volvo S90 sedan in India. The latter was unveiled at the 2015 Frankfurt Motor Show in the concept form and created a huge buzz. It will be available at a price of Rs.53.5 lakh (ex-showroom Delhi) in India. Globally, the vehicle comes equipped with Volvo’s Drive E power trains, both diesel and petrol, along with T8 Twin Engine that is a petrol plug-in hybrid mated with an eight speed automatic transmission. But, the India-bound model of the car is available with a 2.0-litre D4 Diesel engine. It emits 190 bhp of power along with 400 Nm of torque. A new and more powerful D5 diesel engine will be added to the car next year. It will produce 235 bhp of power along with a massive 480 Nm of peak torque and will come mated with 8-speed automatic transmission. However, the company has no plans to introduce a petrol variant of the car anytime soon. The car looks unmistakably a Volvo and exudes relaxed confidence in its elegant design. The uncluttered, spacious, sumptuous and pampering interior is inviting and pleasing. The car has been priced at Rs. 53.50 lakh for the Indian market. All of its rivals too fall in the same price bracket. Volvo S90 price is quite justified taking in consideration its huge list of features. This new Volvo sedan is easy to drive and offers a very cushy ride. The engine sounds purposeful and harmonious. During fast driving, the car remains composed, and stable. Wind and road noise is negligible. It has been made rather stiff to contribute the ride quality. In fact the car focuses more on comfort and safety rather than on keen handling. It has not been made to offer the sharp handling of a sports car but a relaxed demeanour is what you will get. The International versions of the car sport low profile tyres on 20 inch wheels but the Indian version of the car is fitted with higher profile tyres that are more suited to Indian roads. The steering offers a precise feel and inspires confident driving. Braking response is good and gets even better in the Sport mode. 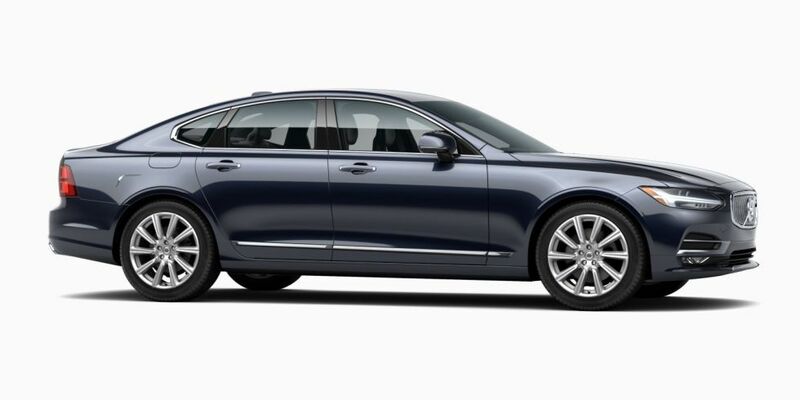 2016 Volvo S90 is many steps ahead of S80 in terms of design. It is based on the flexible Scalable Platform Architecture, the same as XC90, and bears an unconventional design language. Loads of modern additions make way into this svelte sedan but it will remain almost same in dimension as S80. It is just 1.1 inches wider and has just 4.1 inch longer wheelbase at 2941 mm. With a length of 4963 mm, it is longer than most of its rivals like Jaguar XF(4961 mm), BMW 5 Series (4907 mm), and Mercedes Benz S Class (4879 mm). It looks much longer than its images suggest. Keeping up with its German counterparts, the car looks sleek and much elegant than before. The chunky and heavy-shouldered look has been shed for a glamorous makeover. The use of bold lines and minimal detailing has lead to a crisp and fresh look. The stretched out and elongated profile spells luxury in loud tone. To top that, the makers have used high strength Boron Steel in its construction, making it one of the safest cars in this segment. 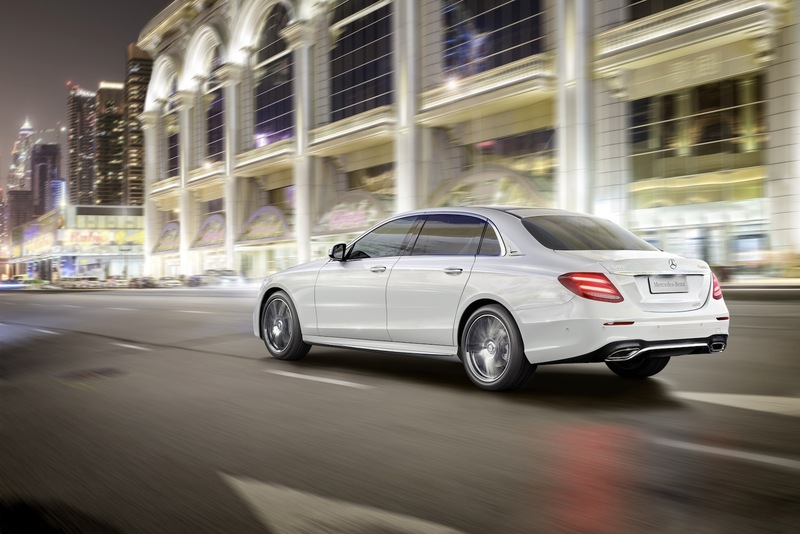 With a length of 4963 mm, the company claims it to be the longest sedan in its class. The front has an imposing presence with the signature Volvo grille and a stylish headlamp cluster with projector units, Thor’s Hammer-style LED DRLs, wide air dam and the air intakes on both the sides. Walk around the sides and you are greeted by a coupe-like roofline, long rear windows and a notchback style trunk lid. The company has gone a bit overboard with the rear design by incorporating over-sized tail-lights. But taking the positives, it imparts a distinctive look to the vehicle. The cabin of 2016 Volvo S90 picks styling cues from XC90 but is better and plusher. It is full of sumptuous styling and offers perfect setting for pampering of the passengers. The cabin follows the Scandinavian design theme and is minimalistic in look. The steering wheel, the Portrait layout touch screen display, the instrument panel – all are the same as that of XC90. But there are a few changes on the dashboard like the chrome band, use of vertically aligned vents and the door pads. The use of wood and metal trims throughout the cabin impart it a luxurious feel. The highlight of the interior remains the 12.3 inch touch screen infotainment system with navigation and Apple CarPlay connectivity. Volvo has a reputation for comfort and 2016 Volvo S90 does not disappoint either. The car not only offers standard seat-cushion length and side bolster adjustments but the seats are well shaped and properly padded to offer maximum comfort to the passengers. The seats also offer massage function and electric four-way lumbar support. The comfort at the rear is commendable too. No complaints from rear headroom and legroom either. You can be sure of high level of quality from the seat upholstery to the materials of the dashboard. The use of rear quarter glass makes the cabin appear more airy and roomy. It boasts of enormous trunk space of 500 liters, that is nicely finished. Some of the other most notable features of the interiors include 1400W Bowers and Wilson sound system accompanied by metal speaker grilles and centre speaker mounted atop the dashboard, electrically adjustable seat extenders, leather accents of door panels and centre console, metal finish on engine Start/Stop button, rotary drive selector, a touch screen climate control interface for rear passengers, and matte-finish wood trim across the dashboard. The car includes the new Pilot Assist semi-autonomous driving feature that helps in keeping the vehicle between the road markings. The feature works at speeds up to 80mph in tandem with Adaptive Cruise control. On Clear lane markers and on Highways, it is good to use. The car offers three driving modes – Eco, Comfort and Sport and comes equipped with independent air suspension on rear wheels. Volvo’s City Safety system is adept at detecting large animals and warning the driver or implying the brakes. 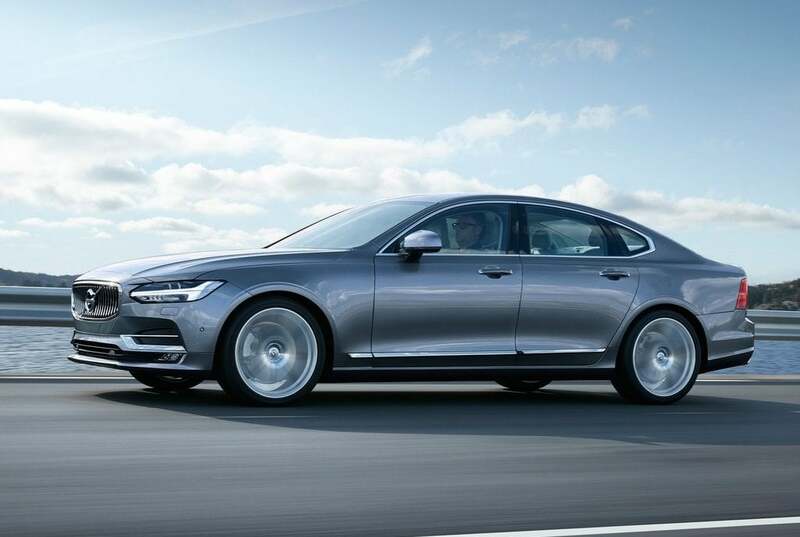 Safety is a major priority for 2016 Volvo S90. It is the first car in India to offer Radar assisted safety features. It must be noted that the Government has unlocked a new range of frequency bands in order to improve vehicle safety. Besides the usual safety features like airbags for driver, front passengers and rear passengers, other important safety features on board are Lane-Departure system, Pre-Collision warning and braking system, cruise control, Road Sign Information etc. Audi A6, BMW 5 Series, Mercedes Benz E Class – all German executive cars stand against Volvo S90, as noted earlier in this Volvo S90 review. Jaguar XF is also in the running for the same segment. All of these cars fall in the same price segment of Rs. 50 – 60 lakh and hence offer stiff competition to Volvo S90. 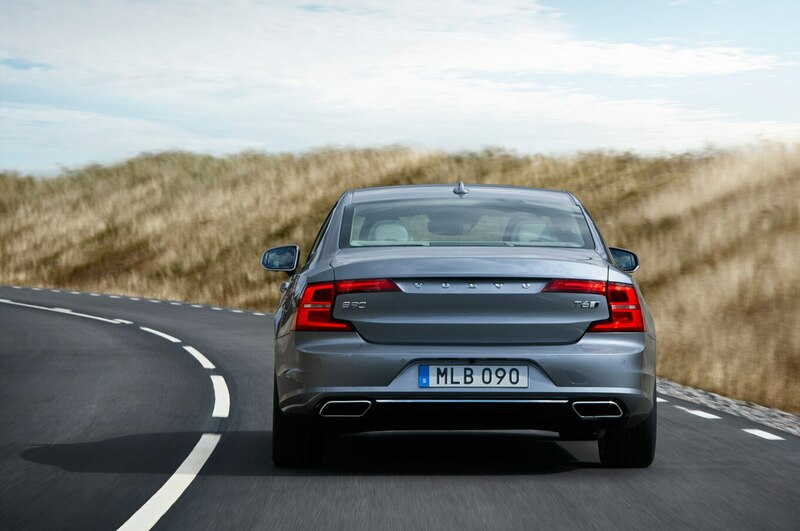 Volvo has shaped S90 with utmost care and it shows. No stone has been left unturned to measure it up to its established rivals. The Volvo S90 specs are commensurate with its price. In fact, it comes as a whiff of fresh air in the German herd as it is refreshingly different. Spacious and comfortable cabin, sleek exterior, practicality, top-notch safety features and promising engine are areas that it excels in. Some more efforts in spreading its dealership network in India, and who knows, 2016 Volvo S90 could shake the throne of its rivals.